In China, wonton soup is served as an appetizer or "small eat" rather than a meal in and of itself. It is a clear broth soup with shrimp and pork dumplings. 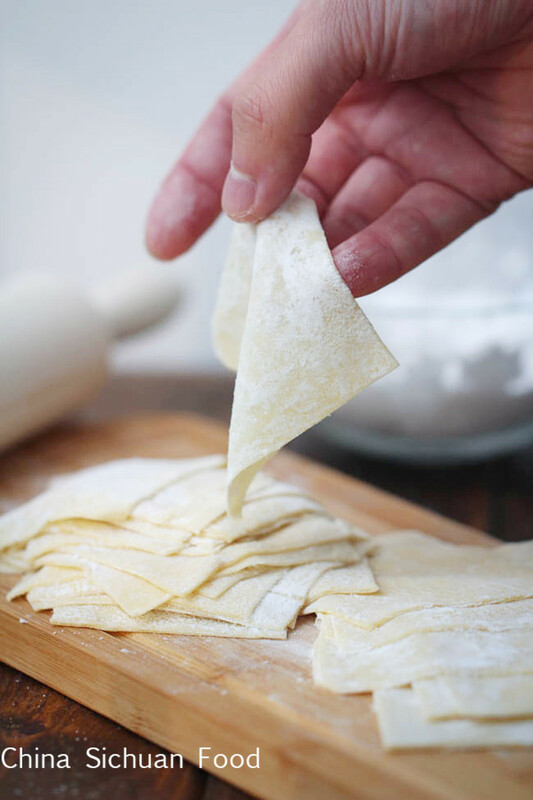 It is pretty easy to make using ready-made, store-bought wonton skins or wrappers. In a medium-sized bowl, mix the pork and shrimp with the sugar, rice wine or sherry, soy sauce, scallions, and ginger together thoroughly. Set aside for 30 minutes. After 30 minutes, place 1 teaspoon of the mixture in the center of the wonton wrapper. Wet the edges of the wrapper with a little water and press them together with your fingers to seal in the meat. Repeat steps 2 - 3 until all the meat has been used. Bring the stock to a rolling boil. Add the wontons and cook for 5 minutes. Season the broth and wontons with soy sauce and add the remaining scallions. Chinese dishes are never complete without fresh vegetables. 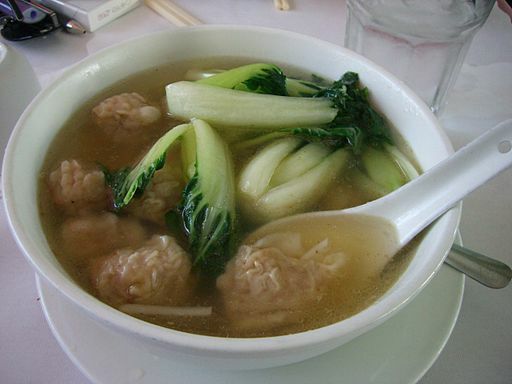 Often times, wonton soup comes with bok choy or another type of green. 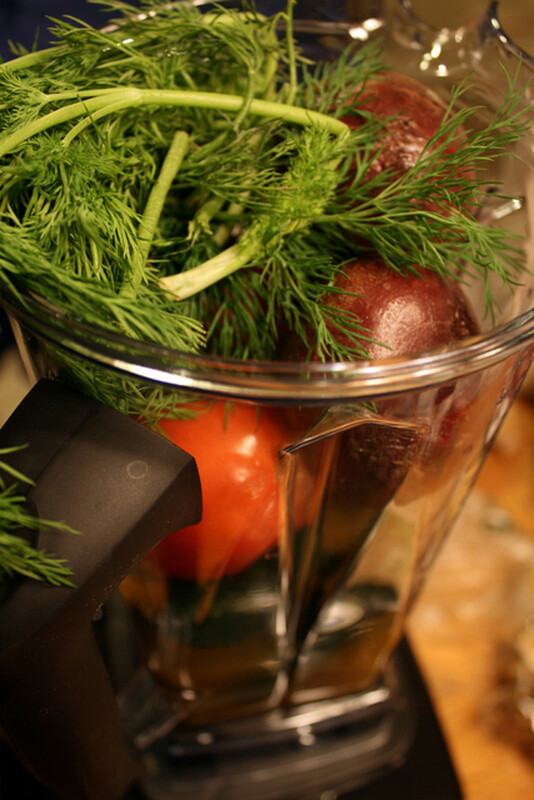 The fresh vegetables are added to the soup during the last few minutes of simmering before service. Wonton soup is best served piping hot. 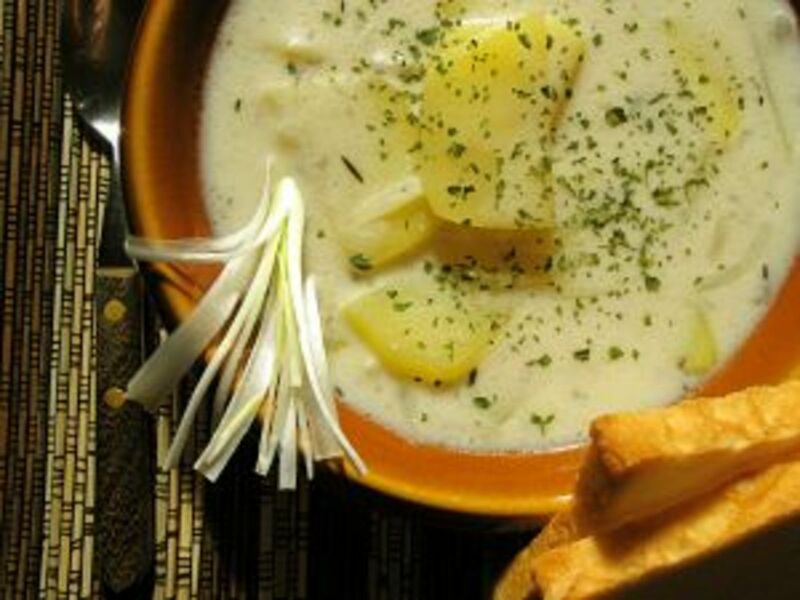 ** To turn this side dish or appetizer into a full meal, add ramen or egg noodles and enjoy! Depending on where you go in China, there are variations of this dish. Those who live in and around Guang Zhou like their wonton soup clear and refreshing as outlined in this recipe. In the central coastal area, in and around Shanghai, the wonton soup is spicy. In addition to pork and shrimp, people in Shanghai also like to include fish in their wontons. In the Sichuan region, people like to eat their wontons in a sesame paste and chili oil. As you can see, wonton soup is an extremely versatile dish that you can personalize and flavor to your liking. 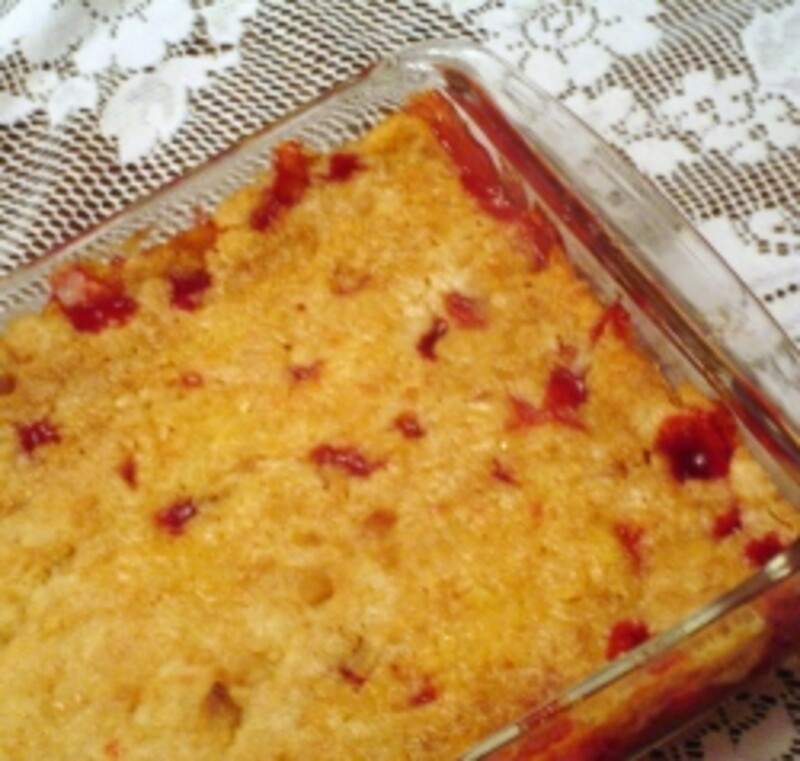 Delicious Dump Cake - A Family Favorite! This is really a great recipe super simple with great Asian flavors combined I will try this this is a really great hub. apimentel33, twilanelson, dilipchandra12, and DDE: Thanks for reading my hub and commenting on my recipe. It is absolutely delicious! I hope you have a chance to try it out and let me know what you think. I am always looking for ways to improve my recipes or create interesting variations. Thank you for an absolutely wonderful recipe. Your photo is beautiful. Wonton soup has always been a favorite in our family and your Hub includes a fantastic version of this recipe that we may have to try. Have a wonderful day!